When I had lots of visitors helping out those first few weeks of my son’s life – and was still tired – I remember thinking, “this is what people mean when they say, ‘it takes a village'”. Now that he is approaching 8 months, I had a flash of a thought as I got out of the shower (the first opportunity to shower after getting him to bed for the night). 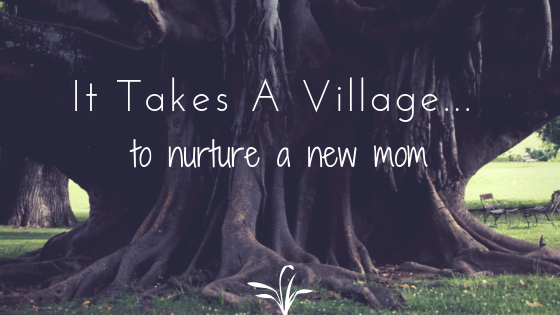 It’s taking a village to help me feel comfortable in this new life as “mom”! If you’ve just had a baby you undoubtedly know someone who has done the same in the past 6 months. Why 6 months? When you ask the mom of a 3 year old how they transitioned from 3-2 naps she will have zero memory of ever doing this. A mom who did this 3 months ago will give you detailed information on exactly what she did and will likely send you amazing websites or books that helped her! This was also great for just before I had my son. I asked my cousin who had a c-section 6 months before I was scheduled for mine, and she remembered not just how the process is done, but how she felt. Look, it’s great to have insight from the mother of a teenager who has been there are back, but hearing, “they all sleep eventually”, doesn’t help me when I’m up 3 times a night, every night. Yes, even if you have a c-section you need to see a Pelvic Floor Therapist! Your body goes through a lot of changes throughout pregnancy, and the weight of your growing baby puts greater pressure on your pelvic floor, so no matter how you deliver le bebe, it’s super helpful to have a pro check things out. Personally, I recommend taking a very proactive approach and schedule an appointment within the first 2 months because you don’t want to wait until you pee your pants running after the dog to do so. For more on my experience with my practitioner and details about how pelvic floor therapists work with patients, check out this post. I was surprised where I felt pain the first month or two, it was my mid-back and I felt it most lifting him in and out of the bassinet. So, only all the time. I saw Kat at Kindred Chiropractic weekly for a couple weeks, then tapered to once a month for maintenance, and haven’t had pain since those first months! For me, my spine had slightly shifted, causing my hips to be out of alignment and the added activity of holding a newborn nearly constantly exasperated things. It’s hard to tell for yourself what small shifts you’ve made to compensate for things like poor posture, so getting an assessment and alignment from a pro is key. Mom groups are a huge reason I open Facebook nowadays. 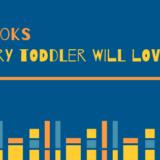 Personally, I have joined a respectful sleep training group, baby led weaning group, and Wonder Weeks for February 2018 group and have gotten practical information and comfort from each. I read a number of books, and continue to read various websites/posts, but the drawback is all the information is “in theory”. Also, there is typically one opinion expelled on. In facebook groups you’re hearing real time what hundreds (or more!) moms are going through, techniques they’re trying, and the results they’re getting. When we started offering solids I quickly realized I was getting very anxious at the idea of him choking, and trying foods was not the fun I was hoping. I posted as such and instantly heard from dozens of other moms who were either just as nervous as I was, and others who gave their experience of getting through the first few weeks and how quickly their babies were able to navigate food in their mouths. I felt I had cheerleaders and needed the confirmation that if I stuck with it, it would get easier very soon. I signed up for Chicago New Moms Group when Owen was not yet 3 months in hopes of not only meeting other new moms, but to have a set time and space to be each week where I could talk about all things new mom that were on my mind. It was money well spent! I got comfortable getting myself and Owen out of the house at a set time, breastfeeding in public, dealing with a fussy baby in a room full of people, and changing a diaper on the go. Our group facilitator, Linda, brought up topics each week that we kicked off with, and let the conversation flow from there. To share my experience, and hear what others were encountering, was something I looked forward to each week. I liked it so much that I signed up for a Mom & Baby group at Picnic the very next week. I highly recommend finding one near you in the first couple months of motherhood, because the guidance of a facilitator is extra useful at that stage. If you can’t find an organized group, or you’re in the 5+ month of motherhood, find other moms in your neighborhood. This happened pretty organically for me. There is a neighborhood parents page on Facebook and another new mom asked if there were any moms of babies under a year who wanted to meet up in a park. I said, “omg yes”, and 3 of us ended up hanging out in the park the next afternoon. From there we set weekly dates at different parks, eventually creating our own West Town Mama Meet Up group on Facebook with the purpose of getting out and meeting each other. The great thing is it doesn’t have to be rigidly set. Someone will post an event for a park at whatever time works for them, and if you can show up, you show up. It’s very laid back and if Owen is still sleeping at the time of a meet up, I show up when I can, no big deal. Moms will show up when they can and leave when it’s their babe’s nap time. It’s just nice to connect with other moms in a relaxed environment. It’s also a great way to find out other events for kids in the area you may not find on your own.